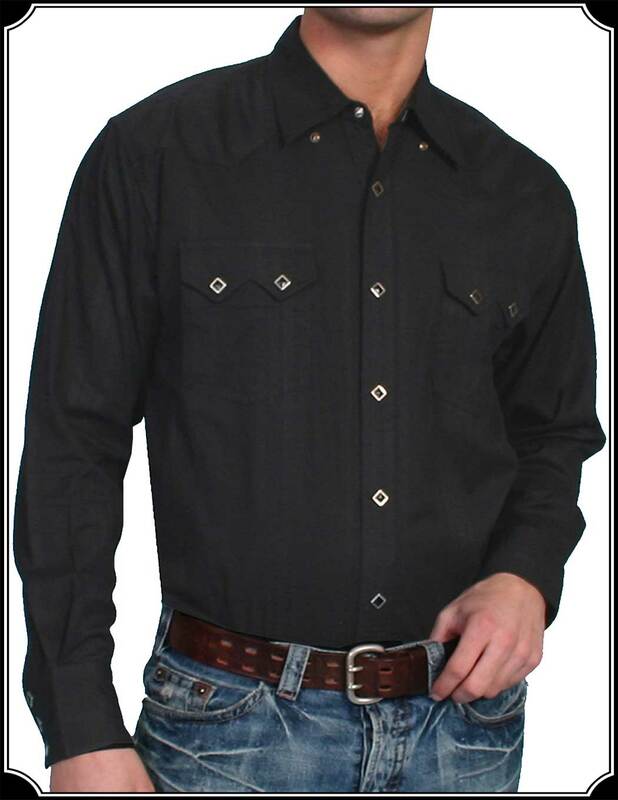 Made of 100% cotton and featuring snap front and cuffs, with 2 breast pockets with snap flaps, this shirt is attractive and comfortable. 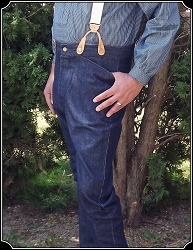 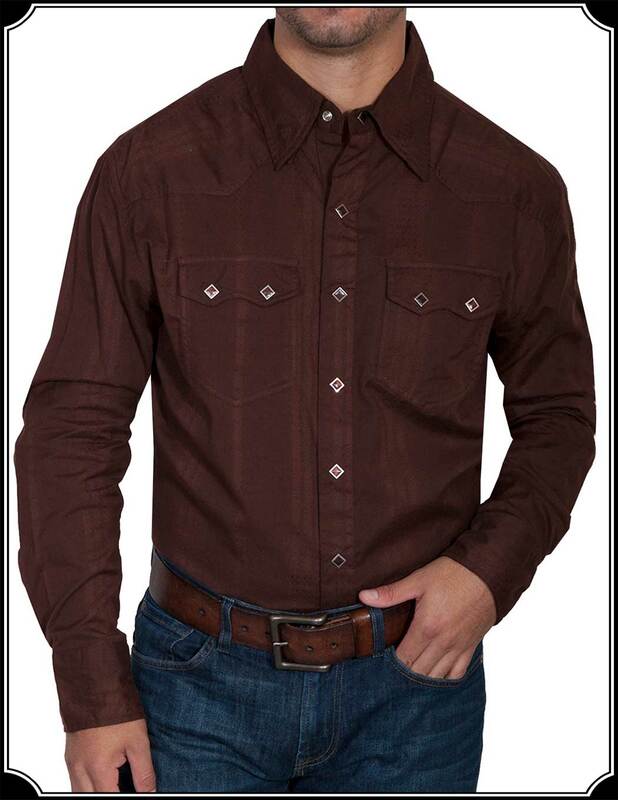 Subtle dobby striping adds to the look of this Western style shirt. 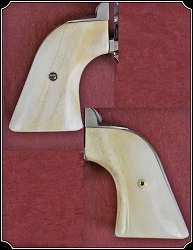 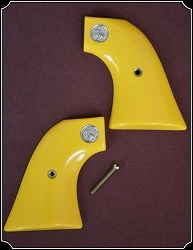 Yokes on the shoulder and in back come to points, and the pocket flaps are double pointed. 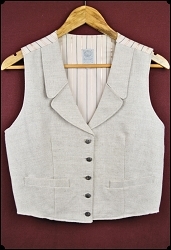 A nice collar makes this easy to use with a suit and tie. 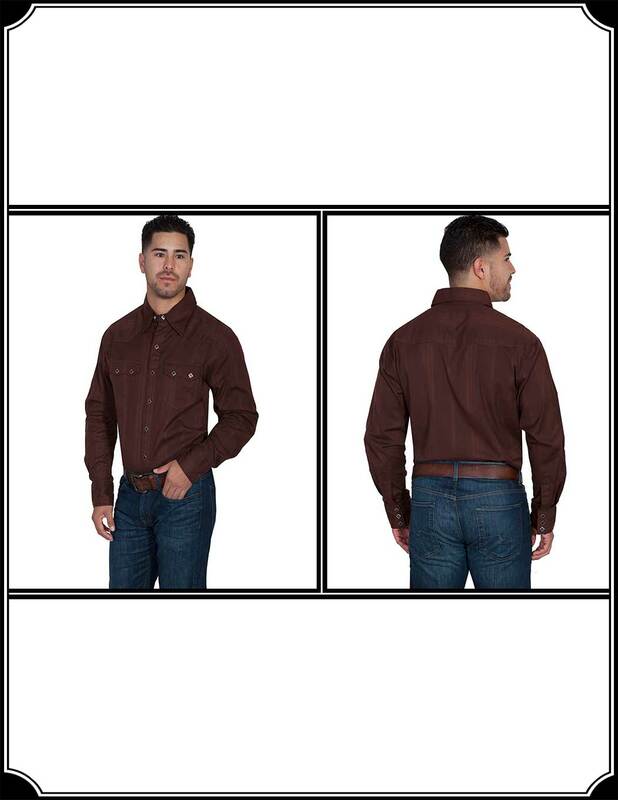 Dress it up with a nice pair of Slacks and a suit coat or go casual with your favorite pair of jeans and comfy boots.